An outgoing executive assistant to an MP is calling for changes to workplace culture and wellness policies on Parliament Hill after he tried to take his own life in the MP's office last month. 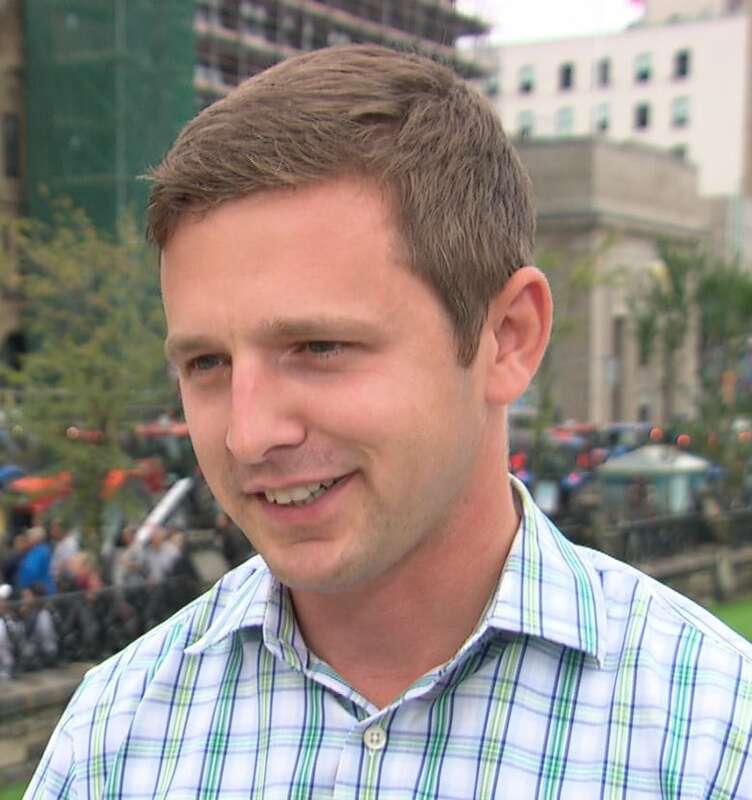 After helping with the 2015 election campaign, Paul Wernick was hired to work for Liberal MP Francis Drouin, who represents the riding of Glengarry-Prescott-Russell. Wernick, 26, had been dealing with depression and panic attacks before he started the job in 2015, but after working what he said were 60- to 70-hour work weeks for nearly three years, his mental health worsened. Earlier this year, he wound up in hospital after trying to take his own life. Last month, Wernick tried a second time in Drouin's office on Sparks Street, and was hospitalized again. Now, Wernick is speaking out about his experiences and his concern for other staffers on the Hill. He has been on sick leave since his last attempt to take his own life; he said he is set to resign Wednesday and plans to focus on his health and eventually go back to school. Wernick said he doesn't hold a grudge against Drouin or anyone else. He said that everyone on the Hill works hard and that he often pushed himself to excel, knowing there was an "army of people" willing to replace him. "A lot of the time it was just me saying, 'I need to get this done, I can't let this stakeholder down, I can't let this constituent down,'" Wernick told CBC Radio's Ottawa Morning on Tuesday. "It was exhausting. Your life can kind of just disappear. You go to work, you come home, you maybe throw something in the microwave, you watch something on Netflix, and you just kind of forget ... I just started getting panic attacks and anxiety, and this emptiness started to come." Asked why he didn't quit the job earlier, Wernick said he wanted to show on his resumé that he'd held the job for a reasonable period of time, and that the thrill of the work he was doing blinded him to what was happening. "There's an adrenaline to it, there's a high to it. You're into it and you're helping all these people and sometimes really good things happen," he said. "No one wants to say they couldn't handle the pressure. It's difficult ... We live in a society — and especially on the Hill — there's a kind of tough-it-out, drink to feel better, road warrior, I'll take whatever comes at me [mentality]. So once you're in the high ... it's really hard to think about yourself." Ottawa Distress Centre Line: 613-238-3311 in Ottawa and Gatineau. 1-866-676-1080 in the MRCs La Vallée-de-la-Gatineau, Les Collines-de-l'Outaouais, Papineau and Pontiac. Mental Health Crisis Line: 613-722-6914, or 1-866-996-0991 outside Ottawa. Child, Youth and Family Crisis Line for Eastern Ontario: 613-260-2360, or 1-877-377-7775 outside Ottawa. Drouin's office said Tuesday that the MP "fully supports [Wernick] and his efforts but out of respect for his privacy, Mr. Drouin will not be commenting." In an emailed statement Tuesday, the House Speaker's communications director, Heather Bradley, wrote that the Employee and Family Assistance Program (EFAP), nurse counsellors and a confidential program for informal conflict management resolution are all available to Hill staff. "Information on these programs is available on our intranet site, shared via email and provided to staff when they are hired. In addition, information is provided across the Parliamentary precinct during situations that could necessitate additional support," she wrote. Bradley also wrote that "lunch and learns" are offered eight months of the year in French and English to employees of all Parliamentary partner organizations, and that they're "well attended," with an average of 45 participants. They're advertised by email, through the intranet site and posters in the Parliamentary Precinct, and recent topics have included "managing your time and energy, healthy eating on the go, foundations of positive parenting, building resilience, and the science of happiness." "Regular special wellness events and guest speakers focusing on mental health and resilience are also open to Parliamentary partner organizations," Bradley added. Wernick said he didn't know about the EFAP option until after his first suicide attempt, when a longtime staffer told him about it, and that he'd like to see people from the Prime Minister's Office and minister's offices talk to new staff about the importance of taking care of themselves. "In terms of taking initiative, the House of Commons needs to work with the Internal Board of Economy and the Senate to see itself ... as an actual employer. And they need to start working with groups like the Mental Health Alliance of Canada, they need to change their culture," Wernick said. "The unwritten rule of people having to work 60 hours needs to change. That's just not OK. There are people that can't handle that, like me, and it almost took my life. "There needs to be a much bigger emphasis on wellness."